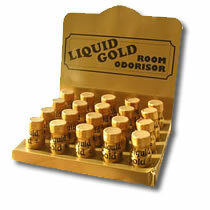 The UK's most popular room odourisers, Liquid Gold. 100% pure. Very good item, lovely as expected! An age old classic, can`t beat it..
Good product but not as strong as before, which I know is no fault of your company but the new laws. Not as potent as the old formula, and runs out very quick. That said, best value for money by far, especially if you buy in bulk. I have been using your company to purchase poppers for the last couple of years and am always very pleased with the speed of service; the only time there was a problem, you very kindly sent me a replacement order with no questions asked. Standard Liquid Gold product. Good quality. Easy to order and fast delivery, will use your services again. Once again another lightening fast delivery at a realistic price. many thanks. *Many comments we receive for Liquid Gold relate to illegitimate use by inhalation. We can't condone this use and as such these comments have been censored.